Fake Internet Security 2013 virus is running an automatic scan on my computer! Is it licensed anti-virus software that will help me clean my system? If not, what damages will it bring to the target computer? How to completely uninstall such a rogue program from your computer? Follow removal guide below to remove the fake anti-virus software safely. Internet Security 2013 Virus Description. Internet Security 2013 virus is identified as a tricky fake anti-virus software that is designed by cyber criminals to violate your privacy and compromise the security aggressively. Usually, it encounters user’s computers and installs itself automatically while they are visiting malicious websites, open junk email attachments and download freeware from infected web pages without any caution. Many computer victims are easily fell in the scam and pay money to use its activated version as the interface of the fake program seems just similar to legitimate anti-virus software. Similar fake anti-spyware as XP Protection 2013 and Win 7 Protection 2013 also damages the victimized computer terribly. Once targeted, the tricky rogue program automatically runs a scan on the contaminated system and displays a pop-up scan report claiming that there are numerous infected files found on your system. Besides, this fake anti-spyware claims computer users to purchase its supposed registered version of product to clean those detected infections. Actually, all information on the fake alert page is totally false and fraudulent. Never trust it or pay money to purchase its non-existing product. Providing that you sign up and purchase the full version of fake Internet Security 2013 virus to clean all supposed infections, you just find that your computer is kept damaging gradually and the money is paid in vain. As a matter of fact, the fake anti-spyware is distributed by cyber hackers to attack the target computer and cheat unknown users to pay money for using such a rogue program to clean their system. However, this fake program is only a malicious virus itself which is hardly to help computer users to regain a clean computer. Furthermore, it allows cyber scammers to gain remote access to your computer without your permission aiming at compromising your security and performing illegal activities aggressively. To avoid any further damage, you need to remove the fake anti-spyware from your computer completely as early as possible. Dangerous as Internet Security 2013 is, it also makes great chaos when you perform web browsing tasks. To illustrate, the rogue program may typically redirect your web search results and randomly change your homepage, default search engine and settings terribly. It may trigger system slowdown and Internet connection loss along with many other types of computer threats, such as malware and spyware. Any further damages will occur to the target computer like system crash and startup failure once you ignore or keep it in the contaminated system too long. Even your legitimate anti-virus software still fails to delete this nasty fake program entirely, for the security protection will be badly disabled by such a harmful rogue program to take effective. Therefore, manual removal is highly appreciated to be the most effective way to handle with this fake anti-virus software. Internet Security 2013 has threatened many computer users to trust that their computer situations are at great risk as it is designed by cyber scammers to corrupt the target computer terribly. It tricks unknown computer users into purchasing its registered version of product to clean the threatening infections which are actually non-existing. Many computer victims are so scared at the first glance of the fake alert page and pay money to purchase its so-called registered, unfortunately, they will just lose the money and get their victimized computers damaged terribly. Such a rogue program may cause system crash and computer freezing problems if the fake program is left in the affected system too long. Once corrupted, your system performs slowly and your executable programs function poorly, particularly the security protection. It can be blocked by this fake virus, and it loses its function to handle with the tricky rogue program successfully. It may take much time and money to fix your PC in local PC stores or call a technician at door. Thus, manual removal with PC professionals is considered to be the most effective way to remove the Internet Security 2013 virus entirely. 2. Press Ctrl+Alt+Del keys together and stop Internet Security 2013 virus processes in the Windows Task Manager. As the above mentioned, we learn that Internet Security 2013 virus becomes a great threat to computer users from worldwide. This fake anti-virus software tricks computer users into purchasing its whole version of the product to clean those supposed detected infections. In fact, all information on the warning page is just used to pilfer money from unknown computer users. Also, it can slow down the system performance and disconnect the Internet frequently to make troubles unexpectedly. Your computer will get system crash and startup failure easily if you don’t take any action to deal with such a risky fake anti-spyware. Why you’re your security protection fail to delete such a rogue program infection? Actually, this fake software is so hazardous that it is likely to block your licensed anti-virus software to prevent it from functioning normally. Thus, manual removal is required. 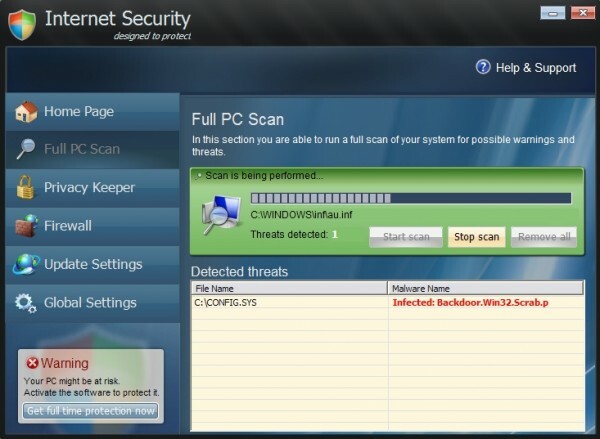 To uninstall Internet Security 2013 fake scam entirely, please contact YooCare PC experts 24/7 online to help you remove the nasty virus from your computer completely. 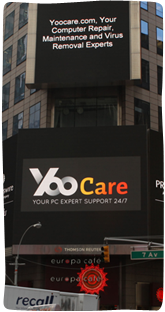 Friendly Reminder:If you still find it difficult to follow the removal guide above smoothly, please contact YooCare: PC experts 24/7 online will offer you the most effective tech support to remove Internet Security 2013 virus completely. My laptop (vista) got infected with Internet Security 2013. I ran AVG free version in safe mode and detected and “removed” 9 threats. After I still had the error warning poping up all the time, I ran Malwarebytes Antimalware and after a while a blue screen came up and before I could read the computer shut off on its own. 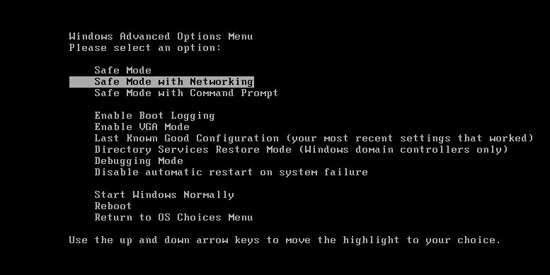 When ever I try to reboot in safe mode it freezes for hours in Loading Windows Files. How can I get rid of these bugs. Please help.